Bratislava may be little as far as capitals go—Slovaks often describe it as “a small metropolis”—but it has a big city feel. In Slovakia’s capital you can experience big-city bustle against the backdrop of provincial-town ambience. 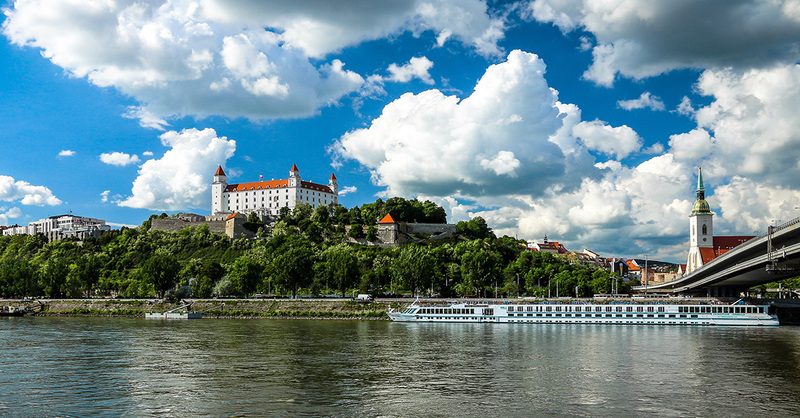 There are a lot of things to do in Bratislava, Slovakia. Let’s start with these 99. Sure you could follow a tour guide’s plaque or umbrella, or stare at your smartphone, but what would be the fun in that? Wander around Bratislava’s Old Town blindly and let yourself be carried away by her charm. St. Martin’s Cathedral is Bratislava’s main church, completed in 1452. During the period of Ottoman occupation between 1563 and 1830, Bratislava was the capital of Hungary and the king was coronated at St. Martin’s. See the golden crown in place of the cross at the top of the tower and go to the annual Coronation Days celebration, in June, to evoke those golden days. The Roman Catholic Church occupies a number of buildings on Kapitulská Street, facing the main entrance to St. Martin’s Cathedral. The street has, therefore, not been overrun by commerce and is probably the quietest one in Old Town. You may find yourself strolling alongside priests there. Like every other important medieval city Bratislava was surrounded by a protective wall. Only a small portion of the city wall remains, stretching along the Staromestská highway from St. Martin’s where you can climb a short flight of stairs and walk on it (you can also enter from Židovská or Prepoštská Streets). St. Martin’s isn’t the only Gothic church in Bratislava. Go to a classical-music concert at the Klarisky Church in Old Town or visit the Franciscan Church, especially the St. John Evangelist Chapel, to admire some of the greatest Gothic treasures in Slovakia. Michael’s Gate is the only surviving of four medieval city gates. Built in the early 15th century and completed with the tower in the 18th, the Gate/Tower hosts the statue of Archangel Michael slaying a dragon — and the spirit of the municipal executioner. Walk through the Michalská Gate in silence so as not to awaken him! If you are a student, the stakes are even higher. A related superstition says that only those students who walk through the gate without a word will pass their exams. Like every city or town in Slovakia, Bratislava, too was hit by the 18th century plague, brought here during the Charles III coronation. In gratitude for the plague’s retreat in 1713, the denizens had the Holy Trinity Column built on Rybné (Fish) Square. It may look out of place next to Danube Hotel and the highway across the Danube, but if you circle it, you’ll face each of the plague protectors — St. Roch, St. Andrew, and St. Charles Bartholomew. Most of the Jewish Quarter was razed in the 1960s when the Staromestská Highway was built, piercing Bratislava’s heart like a Communist rapier. Few buildings remain, but on Rudnay Square, next to the Holocaust Memorial, a replica of the demolished Synagogue and helps visitors picture the way things were. The Old Town Hall houses the museum of municipal history. Part of the self-guided tour is an optional ascent to the tower, well worth a visit if you need a bit of air amidst all the information and an alternative to the Michael’s Gate. The statue of Čumil, or Working Man, leaning out of a sewage drain was intended as a tourist attraction and it fulfills his purpose with gusto. But don’t miss Old Town’s many other Instagrammable statues including Schöne Naci, Napoleon’s Soldier (this one intended to be photographer with Institute Francais in the background), Paparazzi, or The Taunter, a tiny old statue predating tourism, peeking out from a building wall on Panonská Street. The best one of all: the statue of Pavol Orságh Hviezdoslav, a great Slovak national poet, deep in thought on the eponymous square, opposite the Slovak National Theater. 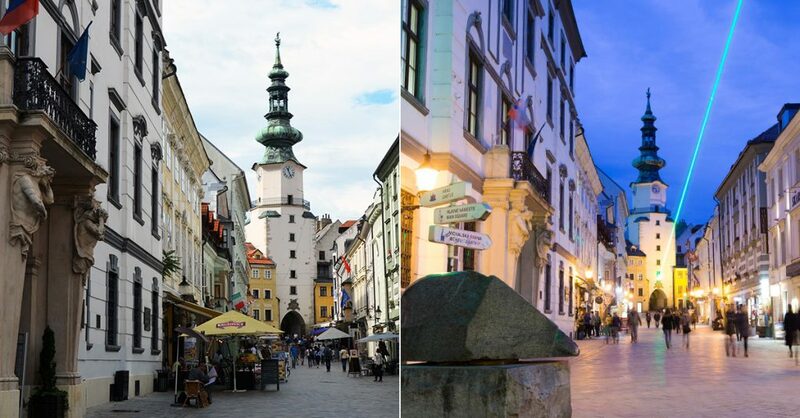 As a royal city, Bratislava underwent a building boom in the 18th century, when a number of beautiful Rococo (or Late Baroque) palaces were built here. Admire Aponi, Kutscherfeld, Erdody, Grassalkovich (Presidential), and Mirbach palaces on your stroll through Old Town to appreciate the city’s long-ago splendor. The Danube River may not be blue, but begin your walk around sunset, have a drink at one of Bratislava’s many floating bars, and you won’t care. Whether you walk downriver on the left (northern) bank or upriver on the right (southern) bank, promenading along the Danube is one of the chillest things to do in Bratislava. The historic, 16th century Red Crawfish Pharmacy is now the headquarters of the Pharmacy Museum. Equipment, 2,880 books (including the original, 1574 edition of Paracelsus’s works), and furniture comprise one of the most interesting specialty museums in the country. 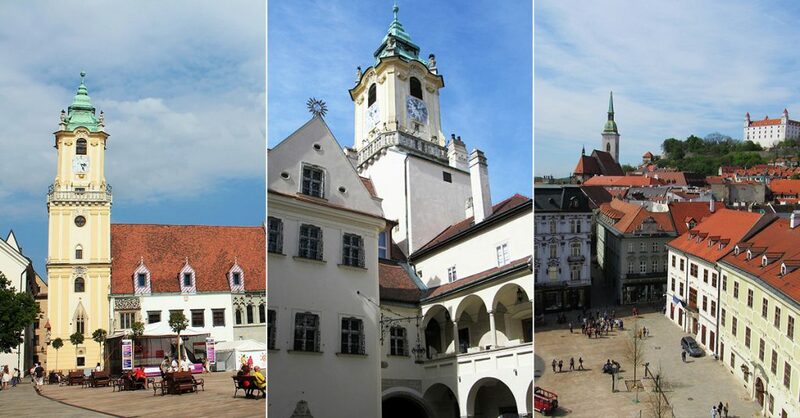 Bratislava’s other specialty museum is the Museum of Clocks housed in the narrow, Rococo-style Good Shepherd House. A visit here makes for a timely, 30-45 minute detour on your way up to the Castle. Planet of Peace Fountain on Hodžovo namestie (Hodža Square), in front of the Presidential Palace, where you can watch locals meet up and traffic criss-cross the intersection. 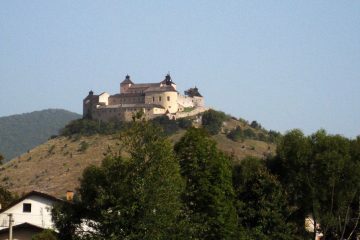 The Castle is Bratislava’s most famous landmark, appearing in the tourist board’s logo and many other brands. 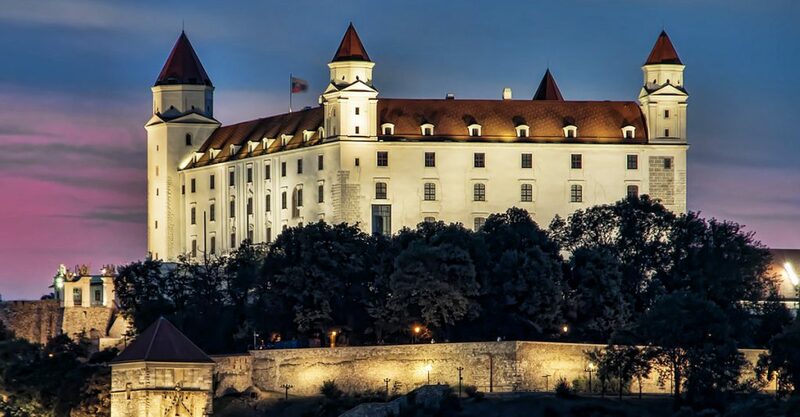 Though you can take a public transit or a tour bus up to the Bratislava Castle, you can get a better sense of its location on the Carpathian Mountains range’s first hill by hiking up to it. 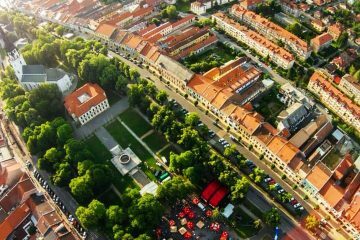 While you’re up at the Castle, visit the museum inside, stroll around the ruins of a 9th century, Great Moravian Empire basilica, and admire the view of the Danube and Petržalka panelák city beyond on the background of the splendid Gothic, 15th century Sigismond Gate. From the Castle, walk through the adjacent hilly neighborhood, perhaps following the secret path we recently shared with the readers of our pals at Welcome to Bratislava. 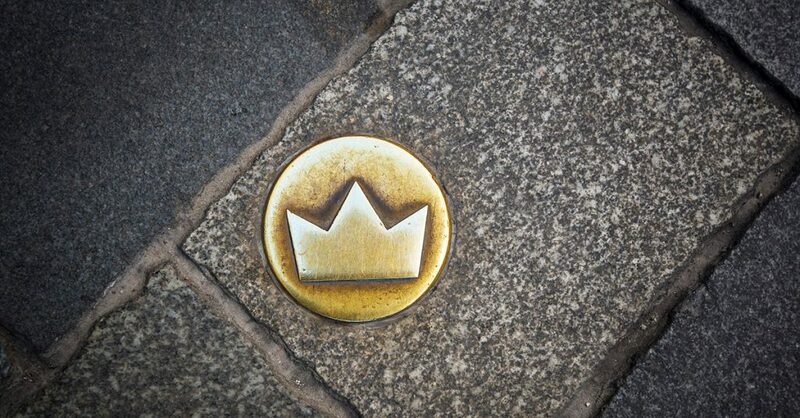 If you are traveling in a larger group, join an organized treasure hunt through the streets of Old Town. Find sights, overcome obstacles, beat the other teams…game on! A fine example of Rococo architecture (see above), Grassalkovich Palace is also the seat of Slovakia’s president (the building is sometimes also called the Presidential Palace). One day a year, on June 15 during the Open Doors Day, you can go in and walk in the president’s footsteps. 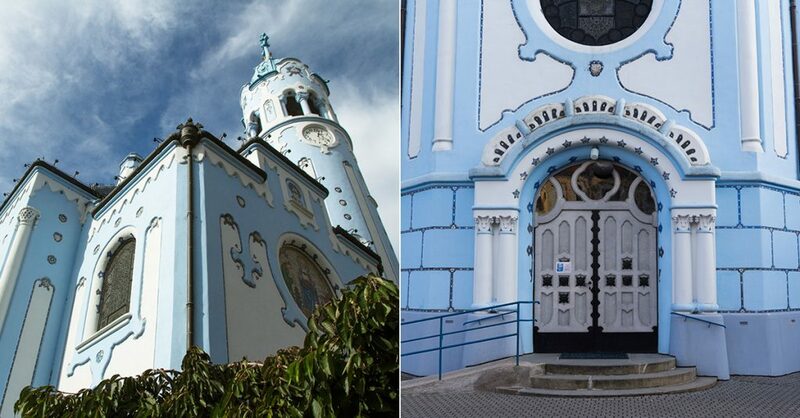 The Church of St. Elizabeth of Hungary is commonly called the Little Blue Church due to its compact size and blue color. Though the locally-born, 13th century saint herself “only” turned roses into bread, walking through the church is like walking inside a cake. 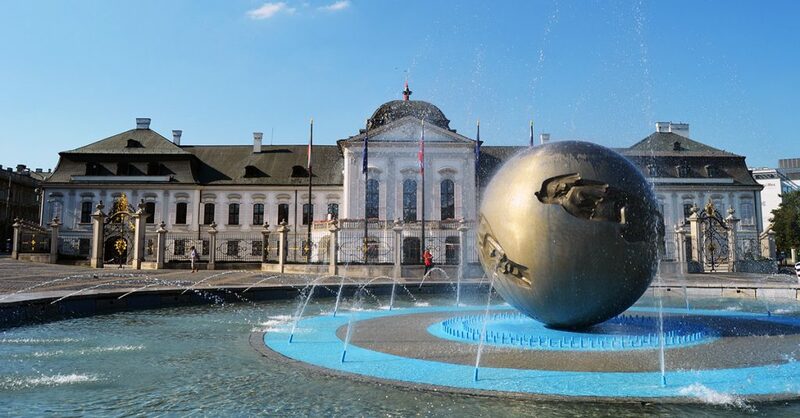 There are plenty of things to see and do in Bratislava outside of Old Town and the city center. You can’t miss the Slavín Memorial from anywhere in Bratislava and you shouldn’t miss visiting it. 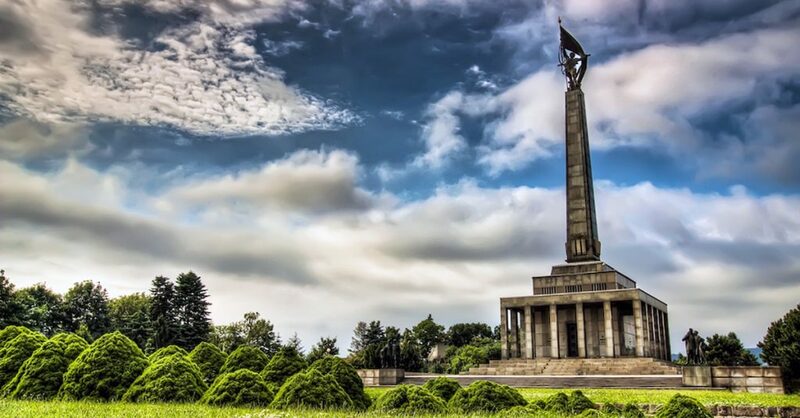 The 1960 memorial comprising a ceremonial hall and a pylon with a victory sculpture punctuates the cemetery containing the remains of 6,845 Red Army soldiers who died during the liberation of Bratislava in 1945. Having survived 40 years under Community Party rule, Bratislava is chockful of buildings representing the best (or worst, depending on your worldview) of the architectural style called Brutalism. 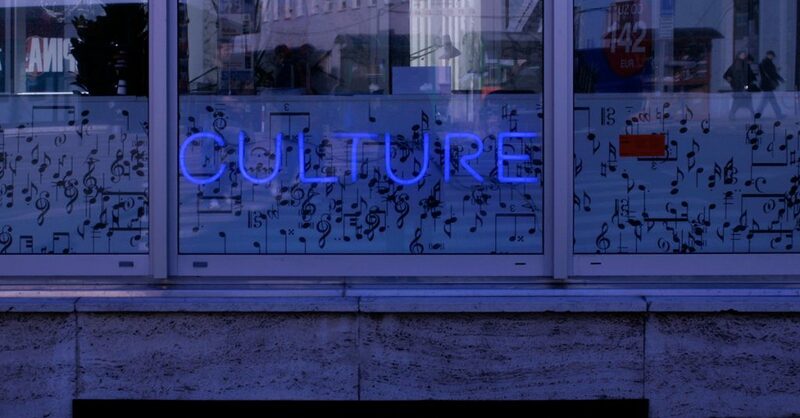 From the INCHEBA trade fair complex to Hotel Kyjev to the Slovak National Radio building, seeing these reminders of the recent future is sure to send a chill down your spine. 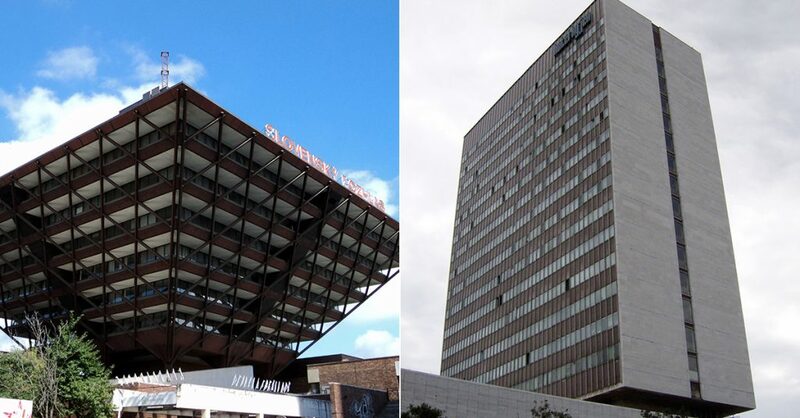 The ever-so-opinionated Telegraph newspaper has included the Slovak National Radio building, the so-called Upside-Down Pyramid, on its list of the ugliest buildings in the world. Judge for yourself when you walk by on your Bratislava tour of Brutalist architecture. A number of WWII and Cold War military bunkers are scattered around Bratislava-Petržalka. You can visit some of them with a group of enthusiasts working to restore them. 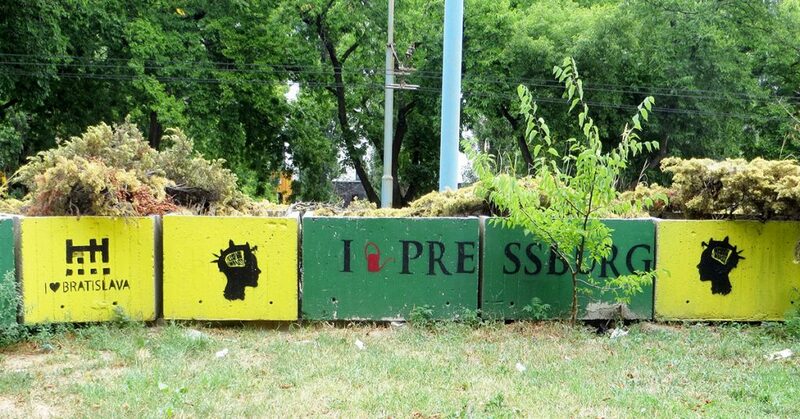 From the city center, take buses #83, 84, 88, 93, or 94 for a cheap tour of the infamous panelák jungle Petržalka. Petržalka may be the most famous panelák neighborhood in Bratislava, but the oldest such building in the country (as well as in former Czechoslovakia) stands at the edge of downtown, on Kmeťova Street. The 1955 building delights architecture buffs to this day. Whether you like cars or trains, the Transportation Museum has got you covered. Located in the first Bratislava train station, just down the street and around the corner from the Main Train Station, the museum features a collection of cars and other wheeled vehicles (the Slovak car-makers’ prototypes are particularly interesting), and a selection of engines as well as cargo and people-moving train cars. Fun fact: the world’s biggest collection of wooden tennis rackets is in Bratislava. The Tennis Museum also features the unofficial Slovak tennis hall of fame. What a racket! Like many world cities, you can find a lot of cool graffiti around the city. More and more art gets added during the Bratislava Street Art Festival and Graffiti Jams, coloring the city’s infamous grayness. Ethnic/national minorities comprise about 20 percent of Slovakia’s population. The annual festival Cultural Summer of Minorities features music, dance, and other performances from Slovakia’s Hungarian, Ruthenian/Rusin, Jewish, and Roma communities. Concerts take place on the Hviezdoslav Square in the second week of August. 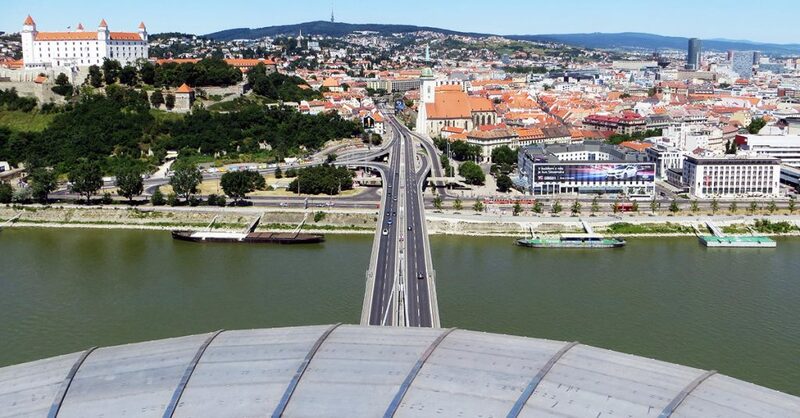 Most people know the Bridge of the Slovak National Uprising as UFO Bridge, thanks to the shape of the restaurant sitting atop its idiosyncratic tower. Take the elevator or the stairs up to UFO Restaurant for a drink and a spectacular view of Bratislava (you can also visit just the UFO Observation Deck above). Yes, you could have your classic Central European espresso at a tourist-trap cafe on the Main Square. Or you could hide in the brick-walled, medieval basement under Green Tree Cafe a block away and sip your espresso in quiet, cool, secluded space. Five microbreweries call Bratislava their home, serving some of the best Slovak beer you’ll taste in the country. The Zámocký Pivovar (Chateaux Brewery) and Meštiansky Pivovar (Burgher Brewery) have the most convenient locations, Richtár Jakub (Reeve Jacob) the most interesting beer. Today’s public parks, the Grassalkovich and Medical Gardens, were built in late 18th century as residential gardens appended to nobles’ palaces. Stroll around to admire the fountains and public statues, and stay a while to watch life go by. Fan of rust? The 19th century “winter port” has a number of old ships and port machinery to make for a quick side trip to the industrial side of Bratislava. Stroll through the sizable property to relive the golden days of river transport. Located between the Old and New Bridges, Sad Janka Kráľa (Janko Kráľ Orchard) is the oldest public park in Central Europe containing a number of rare trees. The park, named after a Romantic poet, makes for a lovely spot for a romantic sit-down on a bench or a stroll along the Danube with views of the Castle and Old Town. 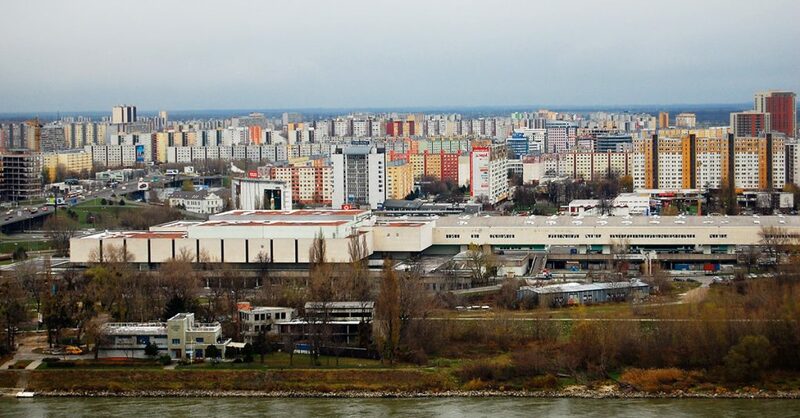 On the edge of Bratislava there stands an old steam engine depot. Engines, train cars, and a WWII German military train car share the space with a number of model train sets. If you come in mid-June during a historic train vehicle meetup, you can ride them olde trains too. If you visit Bratislava in November, you can see a different photography exhibit every day. Part of the Month of Photography (Mesiac fotografie), exhibits are scattered around Old Town and beyond, making for a neat, culture-laden walking tour. The Old Town Christmas Market in Old Town Bratislava is the biggest holiday market in Slovakia. Some 100 booths and kiosks sell (or even make) traditional holiday wares and, more importantly, serve up food and drink. Walking around the Market with a mug of mulled wine will warm both your hands and heart. If you can’t ride the sleigh, you can ride the Christmas tram, designated in 2017 as one of the most beautiful in Central Europe. Decked with Christmas lights and a fireplace, the free tram loops around town to the tune of carols piped through the PA system. Brrring, brrring, merry, merry! Deciding where to stay in Bratislava can be a bit of a chore, as quite a few hotels and penzions vie for the visitors’ attention and wallet. The best places to stay in Bratislava are, in fact, not your traditional hotels at all. You can get pretty far from Bratislava on a day trip (Slovakia is a small country). 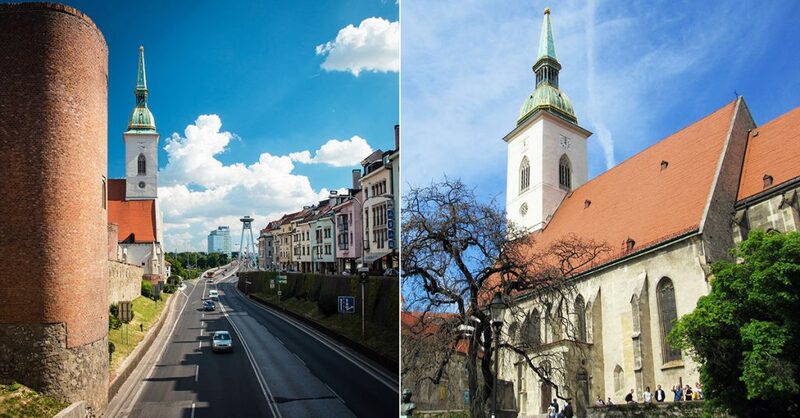 But you don’t have to travel far from Bratislava to enjoy a cool day trip. The following destinations around Slovakia’s capital are all accessible by municipal public transit. Take bus #28 or #29 to Devín, a former independent village west of the city. 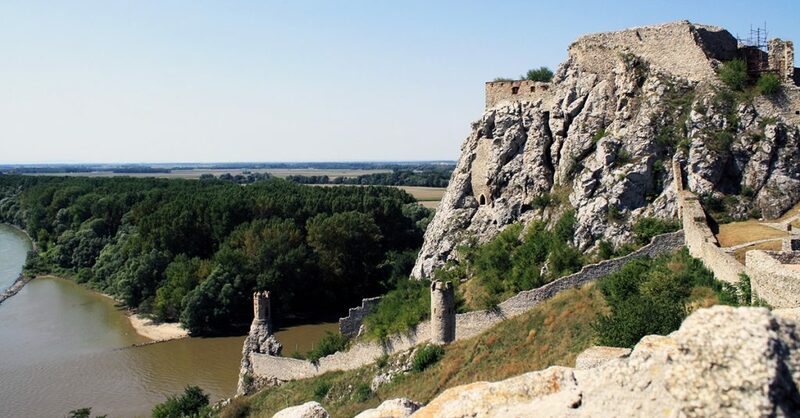 There, the ruins of the medieval Devín Castle, one of the most epic castles in Slovakia, oversee the confluence of the Danube and Morava rivers. Down below, the Gate of Freedom monument commemorates the victims of communism, many of whom died trying to cross the river to Austria. From Devín, hike up to the nearby Devínska Kobyla, at 514 meters / 1,686 feet the highest point in Bratislava and a nature preserve. 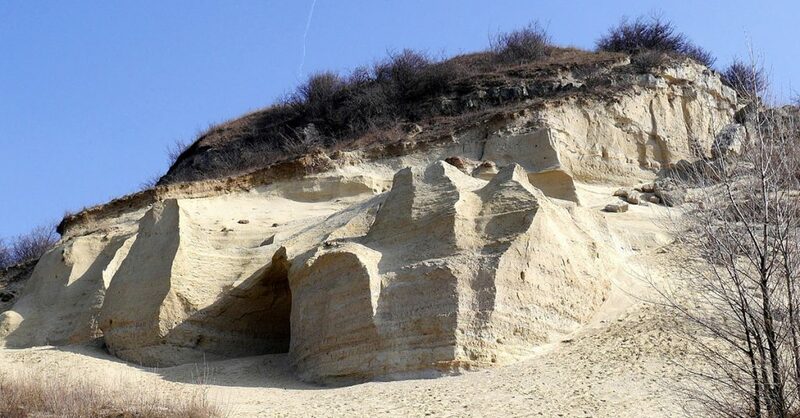 In addition to splendid views and rare steppe-type vegetation, including 25 protected plants, enjoy the paleontologist’s paradise Sandberg, a sandstone hill where hundreds of fossils have been found. * By Old Town we mean the historic center of Bratislava and the Castle area, rather than the administrative unit Old Town, which is much bigger.